Galicia is one of the most popular regions in Spain because of its gastronomy. 1 Galicia is one of the most popular regions in Spain because of its gastronomy. There is a wide range of specialties and at the moment there are 13 restaurants awarded with a Michelin star. Yayo Daporta, As Garzas, A Culler de Pau¦ are just some examples of how important Galician cuisine is, also at an international level. At Galiwonders, we want to recommend you some typical dishes for you to try during your stay in this lovely region. The main ingredients of this dough that can be filled with many different stuffings, are eggs and flour. We may find them filled with cod, tuna, octopus, sardines, meat, seafoods… it’s usually eaten as an appetizer or a starter, and in some places you may taste it as a free tapa with your drink. The most daring ones, will be delighted to try one of the most acclaimed dishes of the region, Pulpo a Feira, or octopus. It is quite easy to cook: just boil it (finding the correct point can be the most difficult part) and add some olive oil, salt and pepper. It is served on a wooden plate, and eaten with a toothpick. Goose barnacles, spider crabs, scallops, lobsters, langoustines… Galicia can be true heaven for those who love seafood, as varieties seem to be endless! The quality of our shellfish is appreciated all over the world, but also the great value for the money. 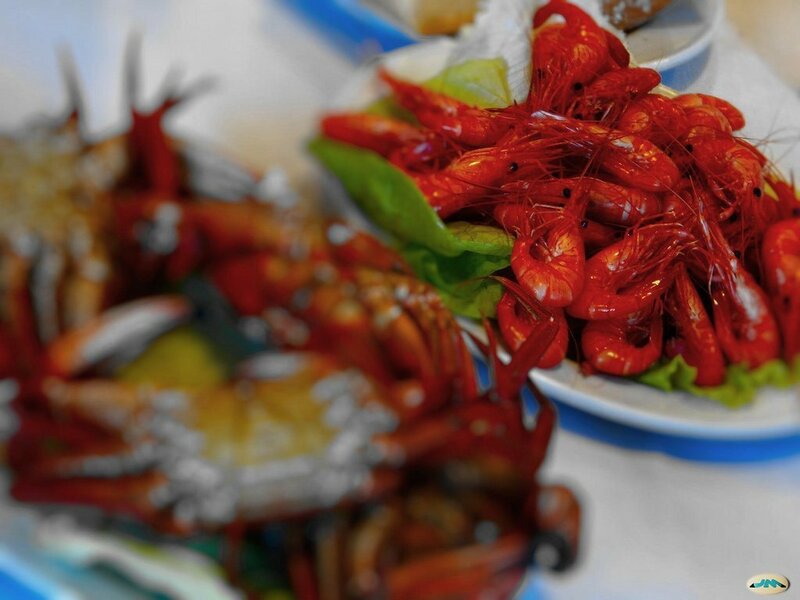 Don’t leave Galicia without enjoying a delicious seafood platter! Small marinated pork loins fried with garlic and served with chips, what a delicious combination! Another unique Galician dish that you won’t regret to savor. For thosewho are truly hungry, the churrasco is a meat feast: ribs of pork and beef, chorizo… all cooked on the grill, served with chips, salad and “chimichurri sauce“. You will probably see a lot of commensalsÂ enjoying a good plate of churrasco on the beach bars, during summer season! We hope you found this brief list of interesting, we will keep you posted with more recommendations related to Galician gastronomy.